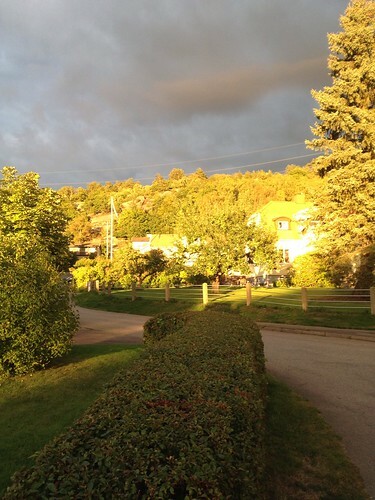 After 16 years abroad, I moved back to my native Sweden. My husband is Austrian and we met in the US where I lived from 1996-2006, and then we moved to Alp-land aka Austria where we lived til 2013. I am still trying to get over that culture shock. We have two kids. Vincent, our first born was born on May 12, 2006 with an extra chromosome aka Down syndrome (Translocation 21;21). Edgar was born October 10, 2009, but only 46 chromosomes there. I admit to thinking it was the end of our world when we got the results of the blood test showing our son had DS, 5 days after Vince was born. I was so wrong! Though everything is not easy, life is a lot of fun! That extra chromosome really did not change much. This blog is about living life Upside Down. Enjoy. 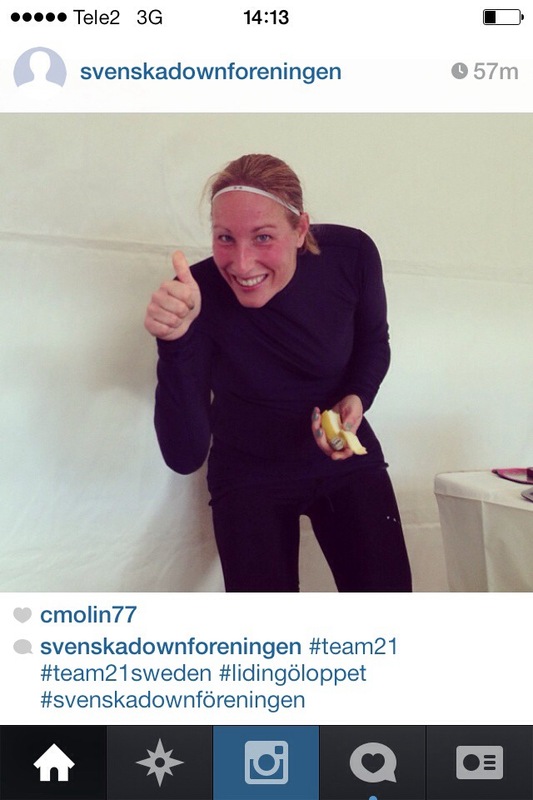 The contents of this blog are owned by Christina Molin. All rights are reserved by the author. Do not reproduce images or content you find on this blog without express permission from the author. The seminar was about Down syndrome and with amazing speakers such as Dr. Brian Skotko and Göran Anneren, a famous doctor in genetics who has done marvellous things for people with DS in Sweden since the early 70s and some other DS researchers from Sweden. Dr Skotko who I heard of soon after Vincent was born and to be able to meet and listen to him this past weekend was simply amazing and inspiring. 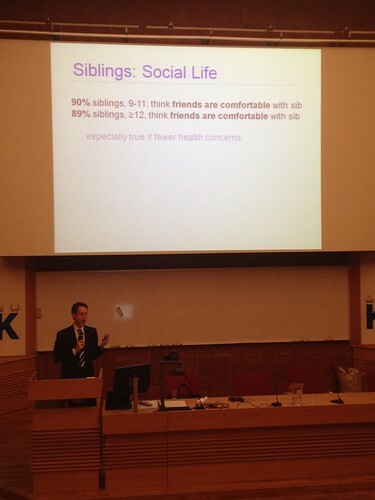 Dr Skotko has done a lot of research about DS, about siblings of people with DS, about parents to children with DS. What he has done is given a voice to real people living with Down syndrome and challenging the stereotypes of Down syndrome with answers from the people actually living these lives and the people who have the experience. Along with that he has published like a trillion articles, written books and is also the co-founder of the Down syndrome clinic in Boston, MA. So to have the opportunity to listen to Dr Skotko and Anneren for days in a row was a pure pleasure. The research presented is about what it is like to have a sibling with Down syndrome, what it is like to be a parent to a child with Down syndrome and most importantly maybe, what it is like to have Down syndrome. All very interesting topics, especially as the answers put out by society seems to have been formed by people NOT living these lives and mainly by people not equipped with real information rather than stereotypical thinking of what they believe to be correct. Research clearly shows there is a huge divide between the two. What is it like to have a sibling with Down Syndrome? 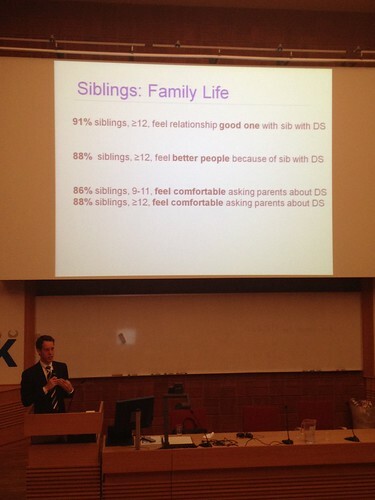 97% love their sibling with DS, 94% of them are proud of their sibling with DS. 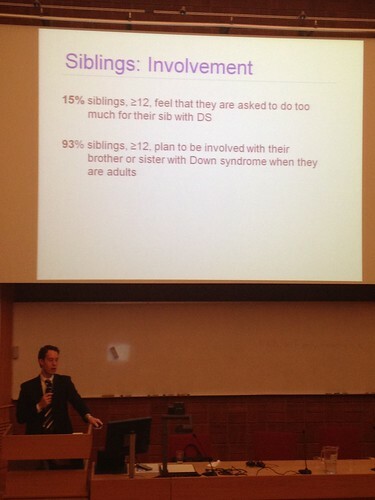 About the 7% who feel embarrassed about their sibling with Down Syndrome, and the 4% who wish they could trade in their sibling with DS, the real interesting answer would have been to see what siblings to kids without DS would have answered. I am rather confident that number would at least have been the same, likely even higher. 9 out of 10 say their friends are comfortable with their sibling with Down syndrome. 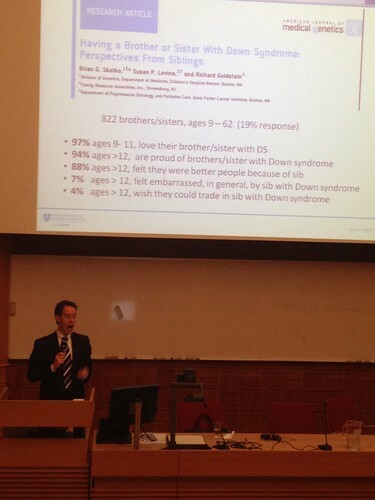 15% of the siblings felt they were asked to do too much for their sibling with Down syndrome. 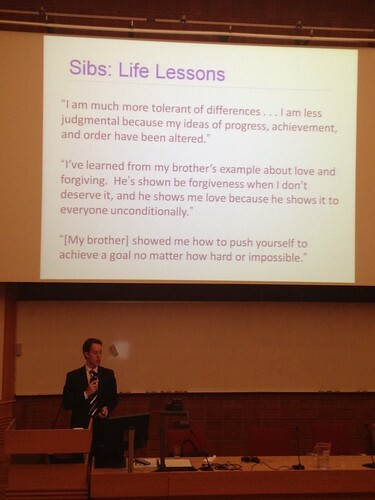 Sounds very reasonable, and is probably similar to how many siblings feel to brothers and sisters without DS too. Unfortunately I have no real percentage of that. So important! To tolerate each other and to never give up,along with the ability to love and forget, what else really is important to teach each other? 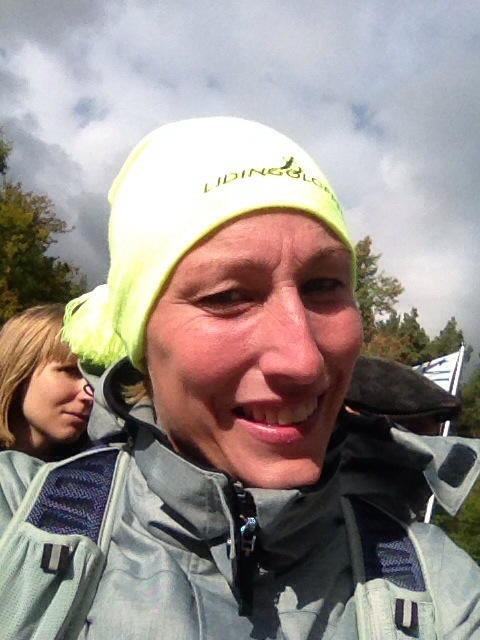 I am running therpe 30k next year again for the Swedish Down Syndrome Assosiation, and I am going to attempt my very best to raise 30,000kr for the Down Syndrome assosiation (Svenska Downföreningen) along the way! I need help with a button, but this is my resolution. 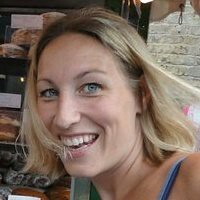 Public on the internet for everyone who wants to see (and please help)! So 30k for 30k starting right now! 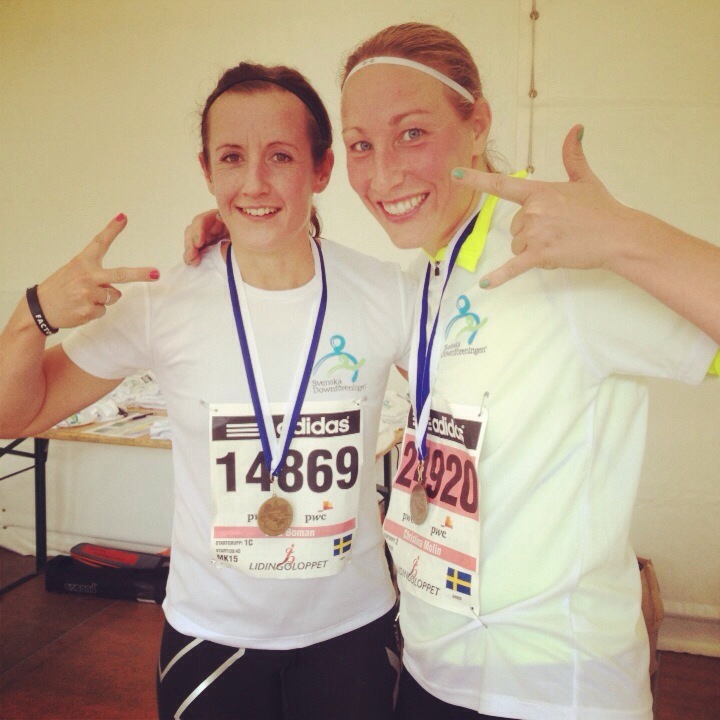 I ran Lidingöloppet for Svenska Downföreningen (the Swedish Down Syndrome Assosiation) today. Lidingöloppet is the world’s largest terrain race. 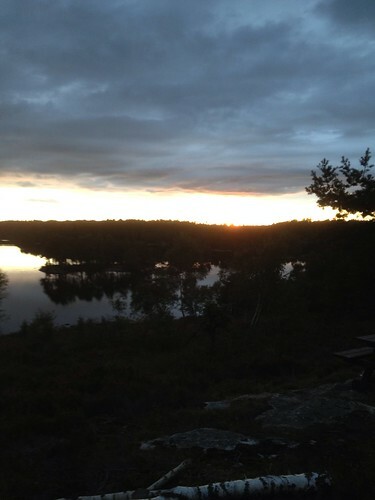 It is extremely well organized and the route is a beautiful trail on an island outside Stockholm. The race is famous for having a lot of hills! The wether was beautiful and the condition were great. It is such a delight to meet up with other DS parents too so a win-win situation. 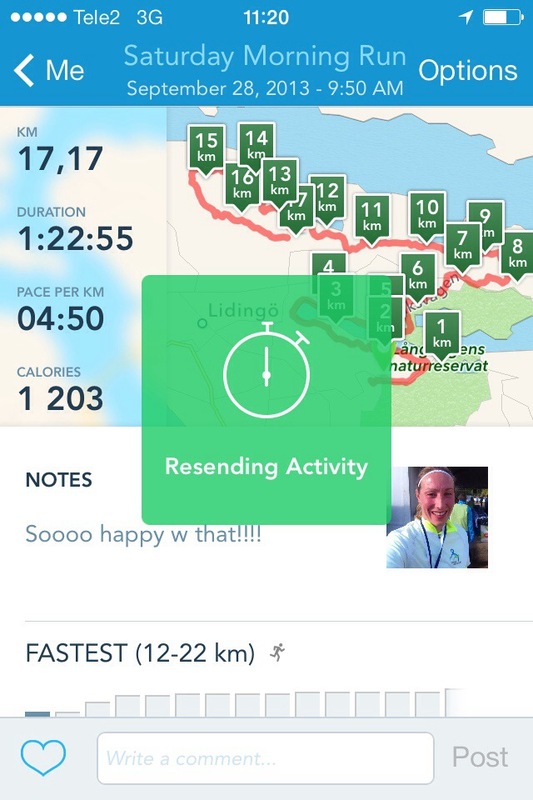 I ran the 15 km race and I was extremely pleased with my time of 1.22.47, 4minutes better than last year, and this time no public fainting afterwards. Next year I am doing the 30km race! Promise! Year end at work means lots of work along with Vince starting first grade and fall being on its way, the calendar is already fully booked til Christmas. There are school appointments, follow up appointments, speech therapy, nutritionist, orthopedic doctor, eye doctor, ear doctor, dentist as well as swim classes and just regular life. No wonder I come close to feeling like I am drowning every September. I was this close to calling my running friend up and cancel tonights run. We have not run together for almost four weeks. She was sick, then away, I had year end and friens in town etc. 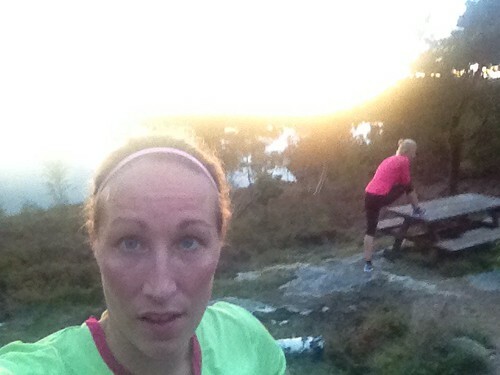 But tonight we had decided to finally do a run around the lake again. Usually we try to run together 3-4 times a week. But, today I was just beat nothing worked: coffee did not do its magic, neither did fresh air during the day. Still I decided to go tonight and it was just what I needed! I am so happy I did. The night was beautiful. It was 45 minutes of happiness, laughing, talking and hanging out while sweating the tiredness out. Up to the mountain where the lake is. 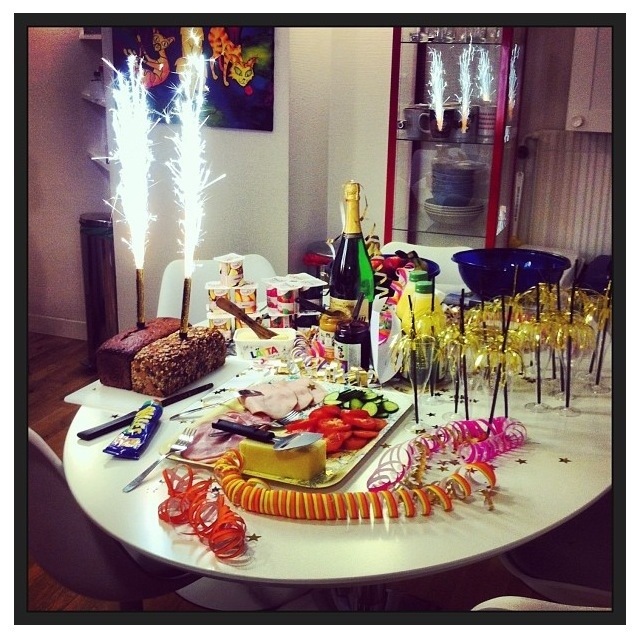 Happy New Year breakfast at work this morning. Vince started first grade yesterday. So far, so good…. 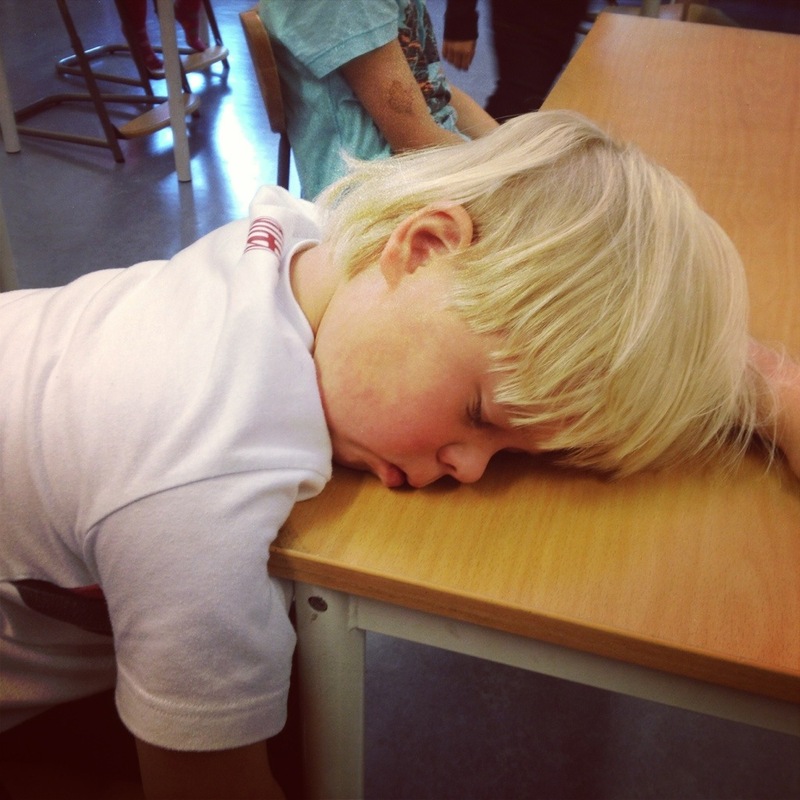 If he only knew how many days he has left in school….